Our 400 thread count mulberry silk pillowcases are beautifully soft, and perfect for your skin and hair. Your products and service are simply amazing! Thank you so much. 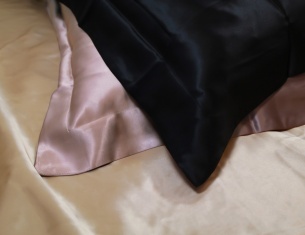 The quality of your silk silk bed sets is unrivalled. Best of the best. This is what sleep should be like! All Silksleep products have a 7 day money back guarantee along with free delivery and returns service. Our silk duvets are filled with 100% long-fibre mulberry silk. Our duvets are covered with a fine 300 thread count cotton sateen casing. We have found this to be the best casing for silk filled duvets.